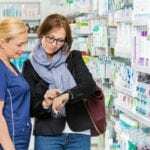 Pharmacy technicians play a critical role in the smooth operation of retail and institutional pharmacies. 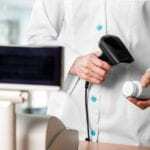 They assist licensed pharmacists with the preparation of prescription orders, verification of prescription information and dosage, processing and submission of insurance claims, entry of patient and order information into computerized systems, and the provision of customer care to patients and other healthcare providers. Working alongside pharmacists and other pharmacy staff, pharmacy technicians with national certification and formal training are in high demand. According to the Occupational Outlook Handbook, there will be approximately 100,000 new jobs for pharmacy technicians added by the year 2020. The projected demand is due to a huge need for prescription drugs by the aging population. Pay rates for technicians vary based on location, job setting, training, and certification. However, the middle 50 percent of technicians earn between $24,820 and $35,810 annually. The pharmacy technician program at Carrington College includes both theory and practical training to enable graduates to function as competent entry-level technicians upon licensure. Practical training takes place in the school’s lab as well as an approved local pharmacy. The certificate program includes general education courses, such as English composition, science, social sciences, mathematics, computer literacy, and social sciences. Technical coursework incudes drug distribution systems, medical terminology, abbreviations and symbols, ethics and law, chemical and physical characteristics of drugs and preparation, and dispensing and documenting medications. Preparation for CPhT certification is included in the program, enabling graduates to pass the PTCB exam. Tuition for the 42-week program is $14,067. Books and supplies cost an additional $840. The six-month pharmacy technician program at Maricopa Corporate College prepares students for a successful career as a pharmacy technician. Through classroom lectures and practical training experiences in the lab and community pharmacies, students quickly gain the knowledge and skills to support registered pharmacists. The comprehensive curriculum covers pharmacology, keyboard kinetics, prescriptions, pharmaceutical calculations, pharmacy law, regulation and standards, non-sterile compounding, computer fundamentals, and working at a pharmacy. Also included in the program are retail and institutional pharmacy practice for a total of 285 hours for theory and practical. Apart from an expert-guided curriculum, the program provides online flexibility to accommodate adult learners. Tuition for the program is $1,995. Books and supplies cost extra. PIMA’s pharmacy technician program blends medicine, math, and chemistry to help students develop skills in mixing intravenous solutions, counting and labeling bottles, providing medication and other health products, and receiving electronic prescriptions. They’ll also learn how to manage prescription order entries on the computer, receive written prescriptions and requests for refills, stock and inventory prescriptions, and verify complete and accurate prescriptions. Students complete the program’s 34.5 credits (800 hours) in approximately 10 months. Course topics included in each sequence are pharmacy math, pharmacy technician duties, pharmacy law and ethics, principles of customer service, pharmacology, fundamentals of chemistry, inventory maintenance, IV therapy, and pharmacy laboratory skills. Tuition for the program is $12,975. Books and supplies cost an additional $960. Western Career Training’s pharmacy technician program prepares students for success on the PTCB exam for licensure in Arizona. Applicants must be 18 years or older with a high school diploma or GED and valid state ID and social security card. The prospective student must also have no denial, revocation, or suspension of registration or licensure by any State Board of Pharmacy, no drug or pharmacy related felony convictions, and no admission of misconduct or violation of any State Board of Pharmacy. Prior to participating in the clinical externship, the student must pass a drug test, pass a background check, and obtain a fingerprint clearance card. The 240-clock hour program includes 120 hours of classroom lectures and 120 hours of clinical requirements to prepare students for employment as a pharmacy technician. The clinical experience will take place at a licensed healthcare facility. Course topics include the role of the pharmacy technician, abbreviations, pharmacy calculations, technology, drug classifications, inventory control and management, and drug formularies. Tuition for the 9-week program is $2,125, which includes registration, uniform top, top 200 drugs flashcards, and background check. The two-semester pharmacy technician program at EVIT requires a huge commitment to independent study to learning the process for receiving prescriptions requests, counting tablets and labeling bottles, and performing administrative functions. The first semester covers basic health care concepts, basic math, customer service, pharmacy law, pharmacology, CPR, safety, and medical terminology. The second semester is reserved for the development of occupation-specific skills, including work-based experiences. Graduates are eligible to take the PTCB exam to become CPhT. Applicants must have a high school diploma or GED and an Arizona Board of Pharmacy Technician training license. All students are subject to random drug testing. Students enrolled in the pharmacy technician program at Arizona College gain the administrative, technical, and customer service skills to thrive in the busy pharmaceutical setting. The curriculum is designed to prep students with the education and training needed to enter the health care industry and to succeed on the PTCB exam. It includes classroom lectures, hands-on training, and real-world experiences as well as post-graduation support. Experienced faculty cover a variety of essential topics, including medical terminology, pharmacology, brand name and generic drugs, pharmacy practice, law and ethics, prescription processing, abbreviations, drug classification, and inventory control. Students have a choice of flexible morning and evening schedules, open labs, tutoring sessions, and access to the school’s peer mentoring program. The diploma program runs for 3 quarters and requires approximately 34 weeks of attendance. New sessions begin every 5 weeks. Graduates of the ASHP accredited program are encouraged to take the PTCB exam for national certification. Tuition costs $15,499.